Top performing companies achieved a temp gross margin of 28% or more, with the best performer converting 34% of temp sales into gross profit. The report said “high performing firms continued to walk away from low-margin business”. Average temp gross profit was up 15% to $7.98 per hour worked, while top performers were achieving gross profit of $10.90 or more, for each temp hour worked. In the 14 years that I worked as a recruiter, I was a solely a temp recruiter for eight of those years and I loved it. My mentors over this time were Greg Savage and his now-wife, Bronwyn Allen. 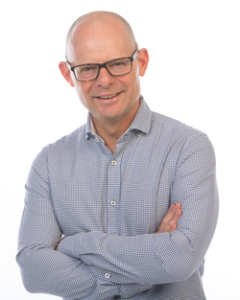 Greg is highly regarded in the recruitment industry for many things but one of the least widely known is his expertise in building profitable temp businesses. In 1991, when I first worked for Bronwyn and Greg, as a Temporary Solutions Consultant, it was unknown to have a separately branded temp business. Temporary Solutions was significantly more profitable than the sister permanent business, Accountancy Careers. Don’t send out rate sheets to clients: Temp rates are determined by demand and supply. Our position was that the demand and supply of temps varied more frequently than for permanent staff, so rate sheets became quickly outdated. We quoted on an assignment-by-assignment basis so we weren’t locked into unprofitable margins. Give the client a choice of a more skilled temp: This is what I call the ‘would you like fries with that’ recruitment up-sell. At times, you will have an excellent opportunity to provide the client with a choice; a temp at the same level as the assignment requires, at the quoted rate and alternatively, a (clearly) more skilled temp at a significantly higher rate (say $5-$10 per hr, depending upon the assignment).No matter which choice the client makes, you can’t lose. Even if the more skilled, higher paid, and higher margin temp is only chosen by the client a small minority of the time, you make extra money without having to generate a single extra job. Make cents work for you: Why quote $32.00 when quoting $32.85 is unlikely to lose you the assignment on rate? An extra 50 cents per hour on each hour of a 1000 hours per week temp desk will generate $26,000 extra net margin across a year, for no extra cost. In other words, every extra dollar goes straight to gross profit. Maintain your % mark-up when temps have a rate increase: If, for whatever reason, a temp receives a rate increase during their assignment, then make sure you maintain your margin. If you allow a, say $3 per hour rate increase to be given completely to your temp, you actually makeless dollars (as you have to pick up the extra payroll tax, superannuation etc) than you did before the rate increase. Why should the person (you) who found this great temp (the temp must be great otherwise why are they getting a rate increase?) be financially disadvantaged by a rate increase to the temp? Don’t pro-rata placement fees: If a client wants a candidate for a contract or temp role, then charge an hourly (or daily) rate. If it’s a permanent role then charge a permanent placement fee. The blurred area of pro-rata permanent fees for temp or contract roles can lead to such margin-destroying decisions, such as charging 50% of the permanent fee for a 6 month contract or temp assignment (sheer madness!). Don’t give your temps away for free: If you don’t charge a placement fee for temps after a nominated period of time working as a temp for that client, then what’s to stop the client finishing the temp up and then payrolling them through another agency? What other industry gives away valuable assets for nothing? Temp pay rates need to reflect the current market: If the market is moving downward then make sure you drop pay rates to reflect the changing market. If you over-pay temps and then clients start squeezing you down on charge rates, you are the one in the middle who winds up taking the financial hit. Keep checking the assignment finish date: Assignments extending beyond the original time-frame add dollars straight to your bottom line. If you are not keeping in close communication with both the client and temp, you risk losing valuable extra days or weeks because the temp assumes the job is finishing on the original, stated finish date and takes another assignment elsewhere. Compete on value, not price: There will always be another agency prepared to go lower on price than you. Competing on price alone is corporate suicide because you wind up only working with the hardest to please clients who inevitably have workplaces that temps least like to work in. By thoroughly interviewing, skills testing and reference checking your temp candidates, you can confidently sell your temps as higher quality, and therefore better value, than your competitors. There are many differences between temp and perm recruitment (see the Recruiter Daily article in my media section for further reading on the topic). Undoubtedly, the subtleties of pricing and best return for effort are much greater for temp recruiters than for perm recruiters. By being vigilant on the 9 areas I listed above is a small, but significant step forward in generating the greatest financial return from your temp desk, particularly in uncertain economic times.